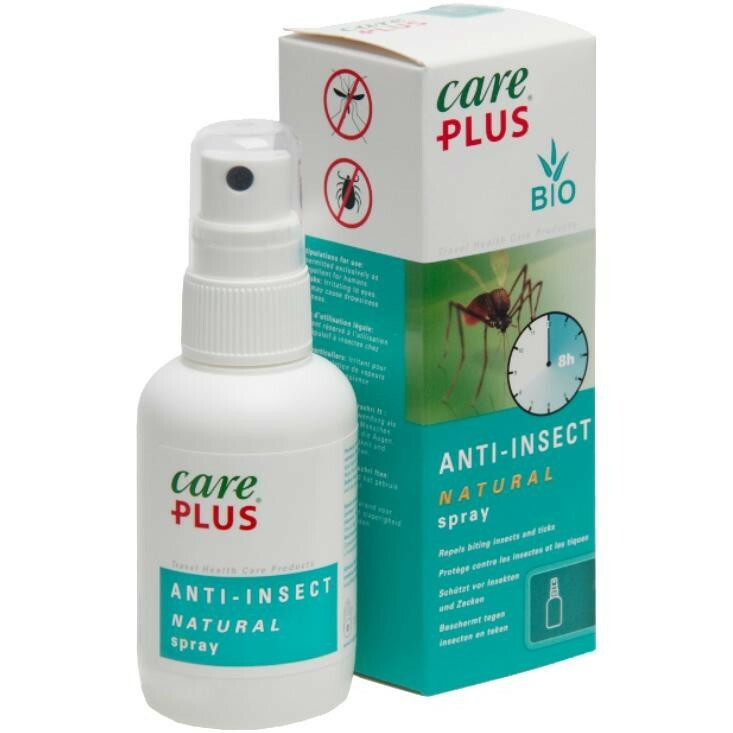 For people who cannot or do not wish to use products that contain DEET a good alternative has now been tested scientifically: Care Plus Anti-Insect Natural. This Citriodiol based product offers protection in and outside Europe against, among others, mosquitoes, ticks, midges and sand flies, for eight hours. For people who cannot or do not wish to use products that contain DEET a good alternative has now been tested scientifically: Care Plus Anti-Insect Natural. This Citriodiol based product offers protection in and outside Europe against, among others, mosquitoes, ticks, midges and sand flies, for eight hours. This Anti-Insect product is suitable for people with a sensitive skin, pregnant women and children from the age of 3 months and older. Just 60ml is sufficient for 2 to 3 weeks of daily use.